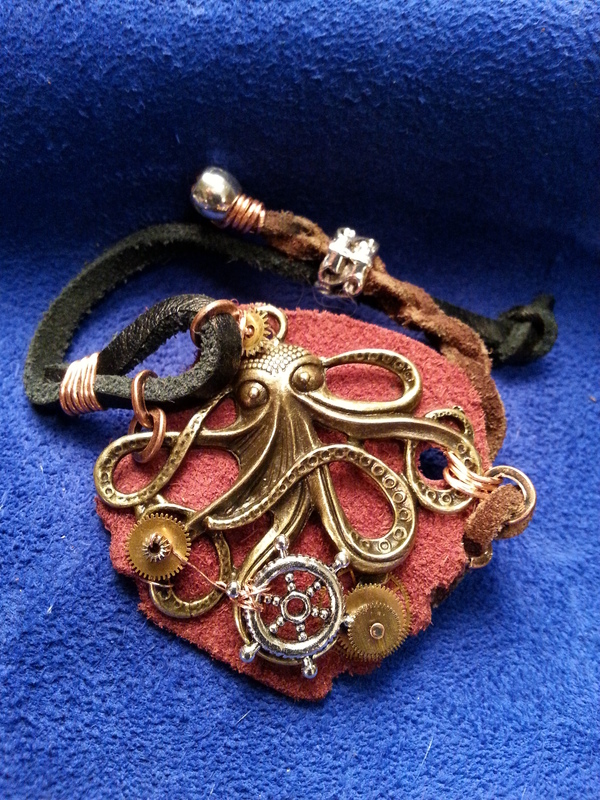 Steampunk octopus, leather, gears bracelet – Chaordicwear – Up-cycled, One-of-a-kind, Handmade Jewelry you can Wear everyday! Making Order out of Chaos! 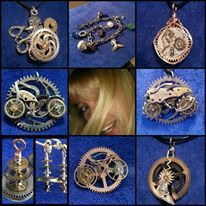 It’s at the Phoenix Nest, check it out. Jennifer has an amazing new space in “The Old Church Shops” she moved into the front part of the building. It looks amazing.